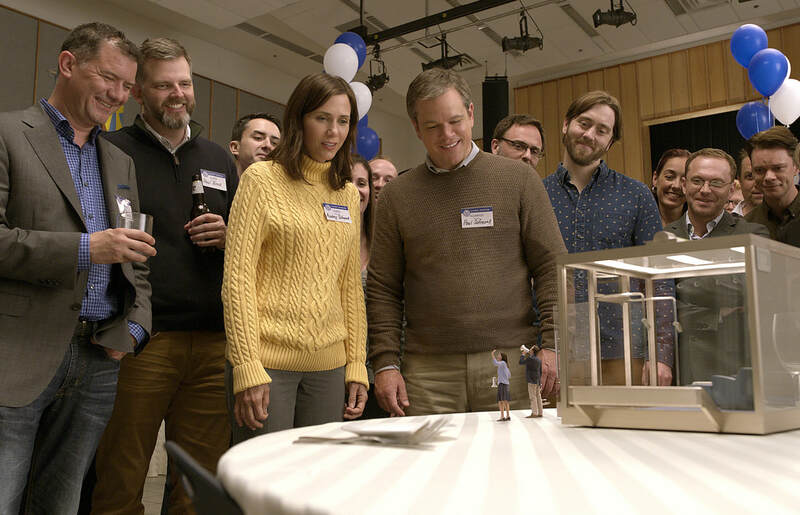 A movie review of ​DOWNSIZING. Alexander Payne has not directed a bad movie, until now. (He has made massively overrated movies. I’m looking at you SIDEWAYS.) DOWNSIZING is a shambles. There are good ideas bobbing about the surface, especially on the current world wide economical turmoil caused by the financial crash. He and co-writer Jim Taylor do not delve into the causes. Instead they make a silly satire that offers little socio-economic insight. Though, this is not the movie’s biggest crime. When the only non-Causasian person (with more than a minor speaking part) is playing a “comedy” Vietnamese character, you have to wonder what on Earth the filmmakers were thinking. ​Ngoc Lan Tran (Hong Chau) is an illegal immigrant in the United States, losing part of a limb in transit, and then used by the film for laughs. It ruins DOWNSIZING. There are humanist ideas about the haves and have nots, but where is the cosmopolitanism? When one looks at Payne’s oeuvre, there are so few non-white major parts. Sandra Oh and now Hong Chau. That’s about it in seven films. Pretty disgraceful. Paul (Matt Damon) is an occupational therapist, who has not reached his full potential due to caring for his sick mother. Like so much of the film’s political commentary, an inadequate healthcare system is only touched upon. Paul lives in the same house he grew up in, and feels the dissatisfaction of wife Audrey (Kristen Wiig). Norwegian scientist Dr. Jorgen Asbjørnsen (Rolf Lassgård) and his team have discovered the ability to (irreversibly) shrink humans to a few inches. Asbjørnsen proposes the technological breakthrough will save the planet from environmental disaster because of reduced consumption. The philosophy behind the discovery is not really thought through. As people shrink, global workforces are reduced. Who will then look after the downsized? No one discusses how this new sub-species is no longer an apex predator, and therefore is vulnerable to the rest of the animal kingdom. Nefarious governments use the system to shrink opponents and different ethnic groups. ​Why would anyone voluntarily “downsize”? Assets increase in value, to about 80 times their human equivalent, in the miniature cities newly in existence. Paul and Audrey decide to take the plunge to become mini-millionaires, only for the latter to back out after her husband has had the procedure (which has a respectable attention to detail). Audrey does not come off well. In the sales pitch, Laura Lonowski (Laura Dern) is a jewel-obsessed housewife. Is this meant to be ironic? If so, in what way? Divorced, not apparently 50-50 in terms of assets, Paul has to forgo the mansion and work in a call centre. He now sees the unreported downside to this supposed utopia. The same inequality and injustices are present. Matt Damon has not been in a quality film since 2011. Random cameos (Laura Dern, Jason Sudeikis, James Van Der Beek, Neil Patrick Harris) do not paper over the cracks. Even Christoph Waltz and Udo Kier on comedy form cannot rescue this misfire.